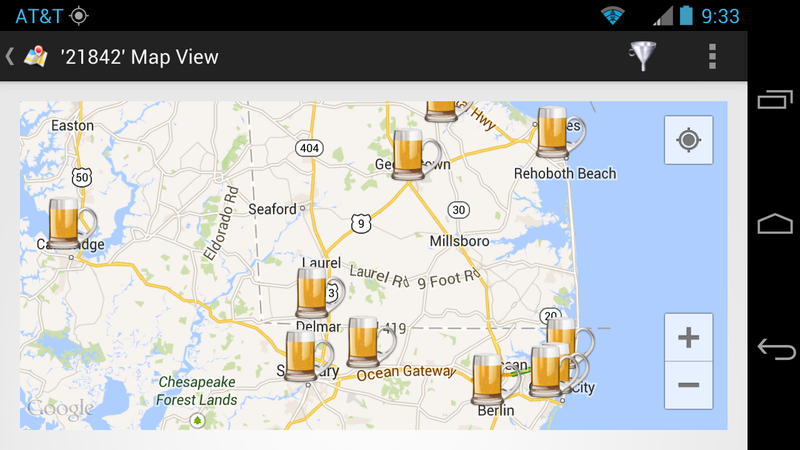 This past weekend I had some house keeping chores in Ocean City Maryland so I decided to utilize our theCompass Winery Brewery Distillery Locator mobile app to navigate to as many breweries along the Route 50 corridor as possible. 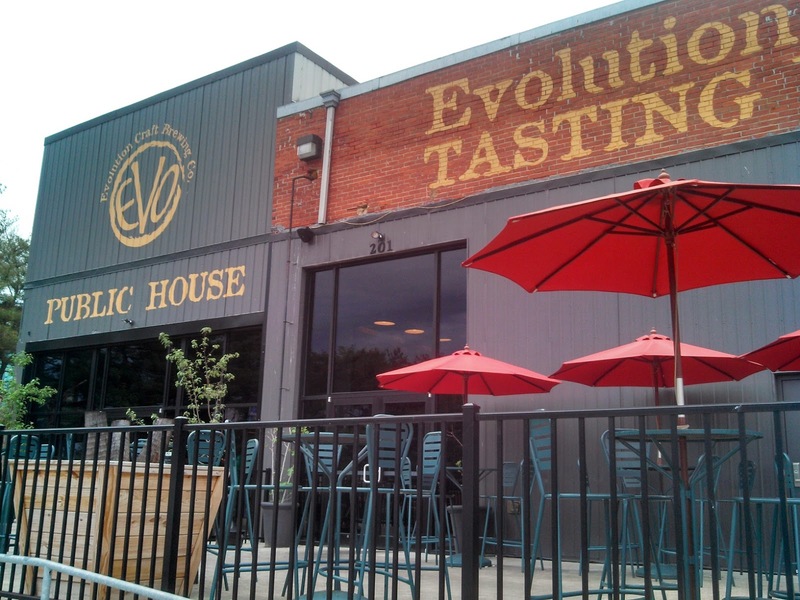 After talking to the folks at Evolution Craft Brewing Company at SAVOR, I started my trip to the beach with a slight detour in Salisbury to visit their Public House for dinner. While listening to Reggae music and a burger, I enjoyed their Special 608 Belgian Amber, that was made originally brewed for the Craft Brewers Conference but seems to have found a stable home. It is sweet and spicy (brewed with honey, lemon peel, orange peel, and coriander) with dark fruit flavors balanced nicely with a slight bitter finish. Next time I need to bring a designated driver so I can sample through their portfolio. The next day, after several hours of painting, I hopped on my bicycle and pedaled south towards the boardwalk. I passed Ocean City Brewing Company which hopes to be brewing at their 55th Street location this month. 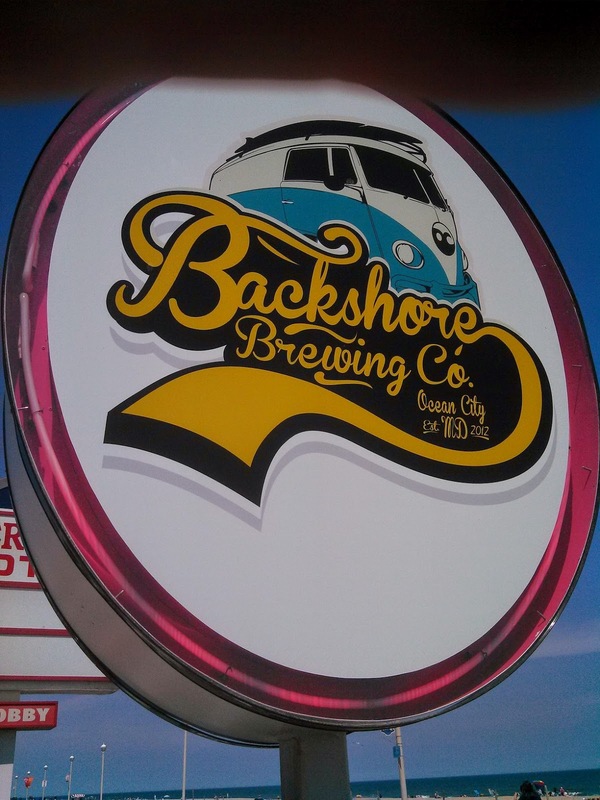 My first stop was at Backshore Brewing Company, between 9th & 10th streets on the boardwalk next to Hammerheads.You may have heard of the brewery as Shorebilly, but because of trade marks have re-branded themselves. They also feature a new brewmaster and signs look bright as I savored their Four-Ten Kolsch and Hop Solo IPA. You can judge a brewery based on their lightest beer, since there's few places to hide faults and their Kolsch was smooth, clean, and refreshing. Perfect for a bike ride. The Hop Solo isn't a west-coast IPA, meaning lighter on the hops, but still exuding a nice flora aroma and clean finish. The brewery has several beers aging in used Jack Daniels barrels as well as a spiced-ale infused with an Old Bay equivalent just in time for summer. I'll be back. One place I probably won't be back is Fin City Brewing Company, located in Hooper's Crab House just over the inlet bridge on Route 50. Whereas the restaurant provides nice seafood and perfect views of the bay and inlet, the Fin City Sneaky Wheat was quite under-whelming. It seemed to try to imitate a Belgium Wit with the coriander and orange peel, but it also appears they may have used Bavarian Weizen yeast so there's also a Banana character that doesn't mesh with the orange flavor. 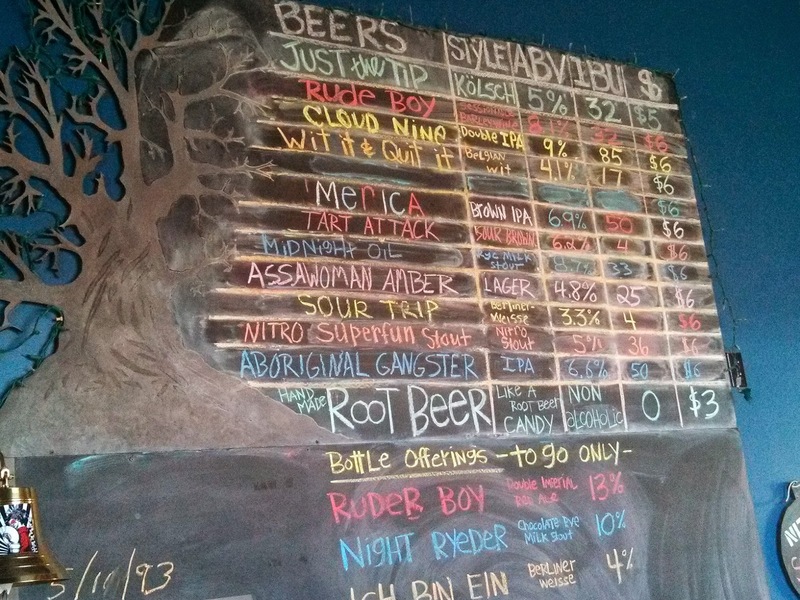 From Fin City, I rode seven miles to Berlin and Burley Oak Brewing Company. While biking, stay in the bike line on Route 50 and then follow the bike signs for detours to access roads. I've visited the brewery in the past and have enjoyed some of their beers in Ocean City, so knew what to expect - high quality. That started with their Kolsch - Just The Tip. Clean grainy, and refreshing - spot on for quenching a thirst. Trying to stay within lower abv's I then had their Sour Trip Berliner-Weisse checking in at 3.3% abv. Slightly sour after being fermented with lactobacillus bacteria, it is also refreshing and begging to be consumed quickly. For a change of pace, ask for the raspberry puree which enhances the sourness and adds a nice fruit flavor. Now, time to bike 13 miles back. 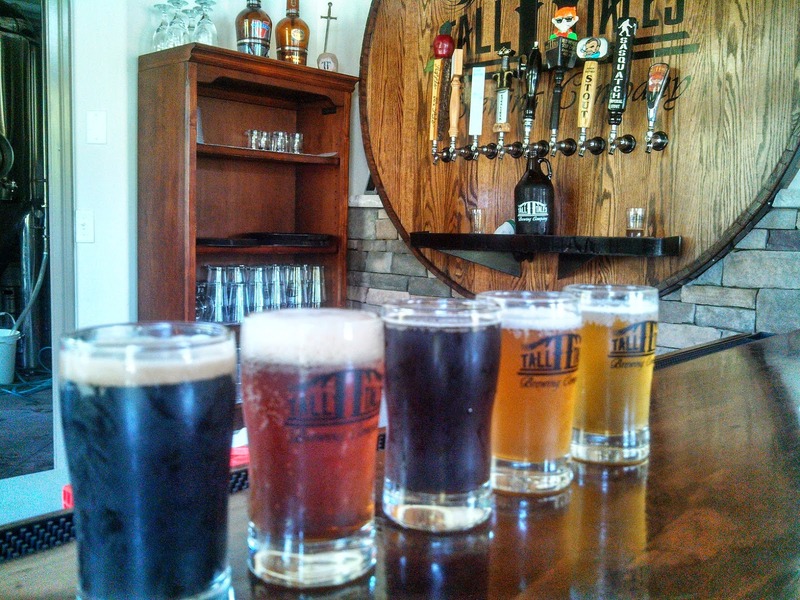 The next day I started my return trip stopping by Tall Tales Brewing Co, in Parsonsburg, just a few miles East of Salisbury. Over bratwurst, I sampled six beers starting with a really cool Apple ale - the Johnny Appleseed. Light and fruity, but not sweet, there is great acidity with the subtle hops to make this a nice beer. I sampled two other lighter beers, their Some Beach Island Ale and the Calamity Jane - both Blonde ales with the Some Beach have just a little extra hops to make it more interesting. Next was the Excalibur, an IPA with citrus aromas and a caramel malty palette balanced with a shore bitter finish. Their best seller is the Red Headed Step Child, a sweeter red ale with less of a hoppy feel than your tradition red ale. The final sample was the Sasquatch - an Imperial American Stout that was right on, chocolate and coffee flavors merge into a bitter finish. Nicely done. 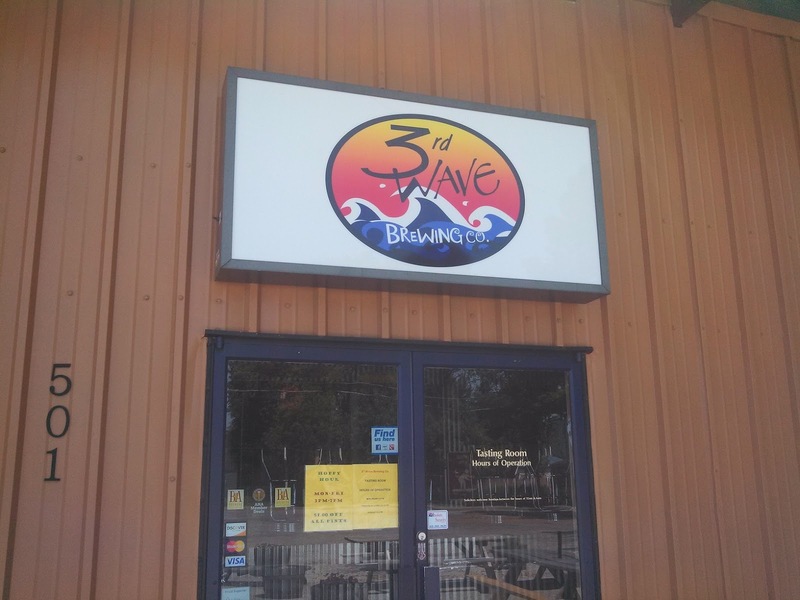 On a tip, I headed north on Route 13 to Delmar, Delaware to visit 3rd Wave Brewing Co. who occupy the space once used by Evolution Craft Brewing Company. Unfortunately I didn't use the advice I always give for people to call ahead for hours, and the brewery was a couple away from opening. Delmar is only a few miles north of the Salibury bi-pass, so a side trip will be better planned next time. 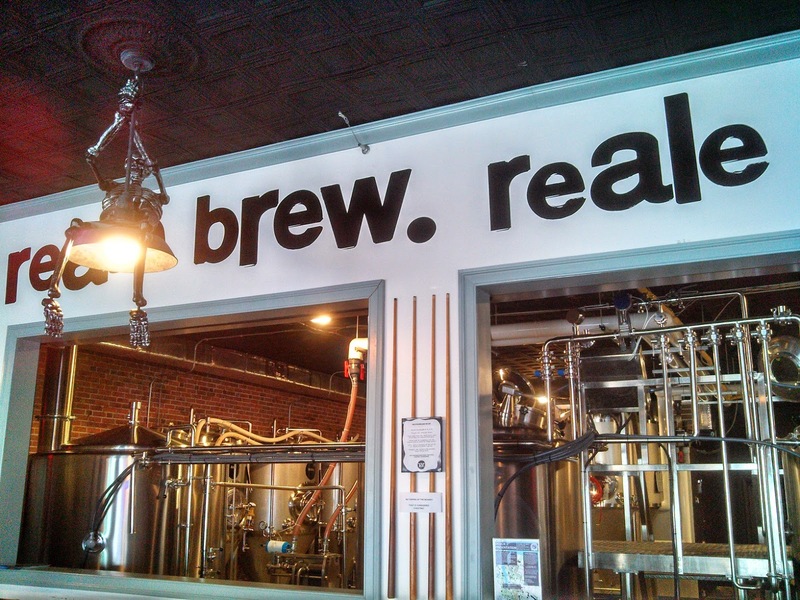 The last short pit stop occurred in historic downtown Cambridge where Realerevival Brewing set up shop. The brewery looks like they have equipment for a decent brewing capacity but this day they had only one of their beers on tap: the Bucktown Brown. This brown ale was quite tasty, having a full, malty body with a touch of sweet chocolate followed by a light hop flavor. They also carry beers from several other craft breweries, so plenty of options for consumers. And the food looks good - from sliders to sushi. There you go, plenty of beer options when taking Route 50 to the shore. More photos are available at out Facebook album: Eastern Shore Brewery Tour. And for those that take the back roads to Delaware, 16 Mile Brewing Company, Dogfish Head Craft Brewery, and Mispillion River Brewing are within easy reach. Cheers. Update: I forgot to mention de Lazy Lizard Brew Pub, which is located just north of the Route 50 bridge. The brewpub was closed when I visited. Hopefully next visit. The Hungarian Wine Roadshow Crosses the U.S.